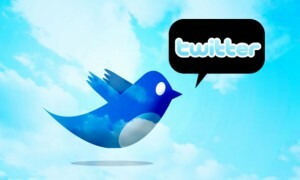 Twitter growth is increasing since 2006 when it was released and as recent data highlights that reached over 500 million users. It is also important that the estimates show that every second add 10 new users, so it remains the second most used social network. The daily number of users who are logged in this network is approximately 559,000 as estimated Twopcharts. With these numbers you can see the difference between Facebook which has more than 800 million users and Twitter here with over 500 million users. Although the success of Twitter is constant, the network also has yet to achieve great goals as precisely that users keep an active account on a regular basis as well as achieving short-term goal to reach 600 million users. It is certainly interesting news from Twitter mainly because information about its rapid growth and success that is social networking platform that already has a significant number of users that are distributed in all countries so surely will soon reach further growth.